What if I love my whole class novels? In my 8th grade classroom, I was teaching Johnny Got His Gun. We gathered in the meeting area to discuss an essential question of the novel: is the cost of war worth the gains? My kids were engaged, they were talking over one another, weaving in their own experience with the story Trumbo offered. Scenes were referenced, kids opened up to specific pages to read lines that struck them. At one point a kid asked “But what’s war good for?” and the class erupted in a flash mob rendition of the song “War,” which surprised me for multiple reasons, mostly that they knew the Percy Sledge song in the first place. In 10th grade my teacher taught four novels in sequence, one per quarter: Ethan Frome, Silas Marner, Death be Not Proud, and A Separate Peace. I barely read a page. Instead I dragged myself to class, let the teacher read the chapter aloud, or suffered endless round robin readings, punctuated only by the teacher’s questions that no one knew the answer to. My main memories of that year in English class were stories of dreams dying, which didn't do much to help me in my adolescent angst. Chances are that if you are here, both of these stories sound familiar to you. You’ve had some great moments with whole-class novels, but you’ve also seen some things that aren't great. Maybe you sense that the kids aren’t engaged with the books, perhaps not even reading them, as is so common. 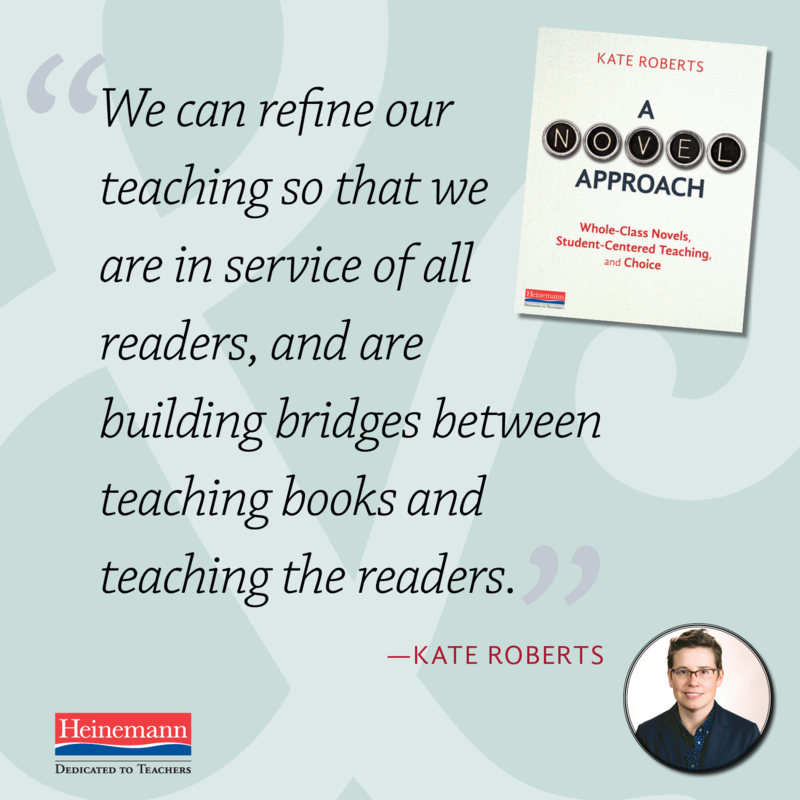 Or maybe you are concerned that your students aren’t really getting better as readers – you see stagnation or slippage and you are looking at your practices more critically. Or maybe you don't see a problem but someone else does – your administrator, coach, or mentor. Whatever the reason, know that I believe we can teach whole class novels in ways that increase independence, ability, and engagement. We can keep our novels, but we may need to change the way we do them. 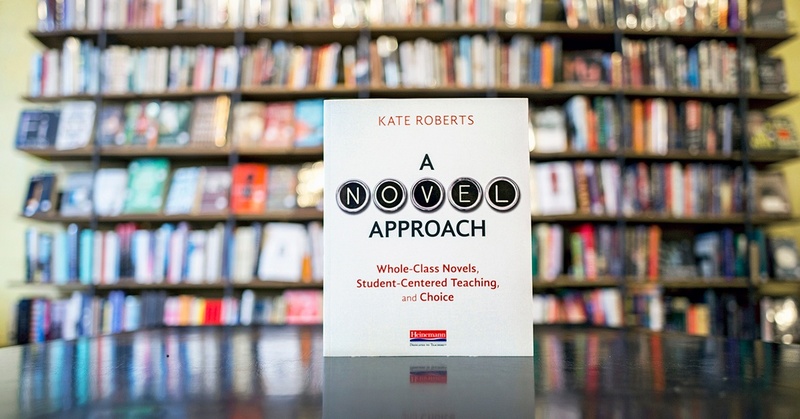 Whole class novels get a bad rap these days, and they largely deserve it. When entire classes of kids - diverse in gender, race, class, orientation, interests, or needs – are asked to know each page of a one dense novel over the course of 6 or 8 or 10 weeks, where the content of the book is the end all be all, and the expectation is that you will have practically memorized the book by the end of the unit only to forget most of it after the final exam, it is difficult to see the worth in the practice other than to familiarize students with a skinny list of predetermined Important Books. And yet, I loved the whole class novels I taught. 1. Keep whole class novel units short. Six, eight even ten week-long units focusing on one book are common, and this tends to have two main effects: the kids begin to resist (or loathe or avoid) the book, and we don't give them opportunities to read enough to build the muscles they will need for future success. Instead, we can shorten our whole class novel units to 2-4 weeks, depending on their length. To do this, we will have to relinquish control over every detail of the book. Kids will need to read some chapters independently, and so their comprehension will by definition be incomplete. There are ways to mitigate this and clarify the content (keep an eye out for future a blog post on this) but in order to create a dynamic pace to our work, we can't insist that the kids get everything. 2. Focus on skills, not the content of a particular book. A focus on content can be good of course – it is the content of 1984, or The Hate You Give or Wonder that grips readers and creates the experiential community that whole class novels offer. But if our sole focus is the content of the book, then the next time our class picks up a book to read they will not know much more about reading than they did before our 1984 unit, other than any allusions or connections that might be made. Instead, if we choose a skills focus to compliment the content of the book (studying craft in Steinbeck or interpretation in Morrison) we can offer our students ways of reading that can unlock meaning in any book they hold. In science we expect and work to make sure that we give kids the knowledge they need to build upon unit after unit. Same in math. We can do the same in English class - by focusing on skills as one way to guide our work in a book, and then by asking students to transfer that skills work from the whole class novel to a book they choose. 3. Tailor our instruction to the kids in front of us. Oh the heartbreak when we see a student who clearly is having a hard time reading even one page of a whole class novel being expected to somehow complete all of the assignments and answer all of the questions of the unit. I believe, as many people do, that this is unethical. The good news is that it is also unnecessary. We can address the different needs of our class, we can build independence in all of our students, we can end the uncomfortable silences after our text dependent questions if we take a page from reading workshop and the powerful methods for teaching and transfer that live there. 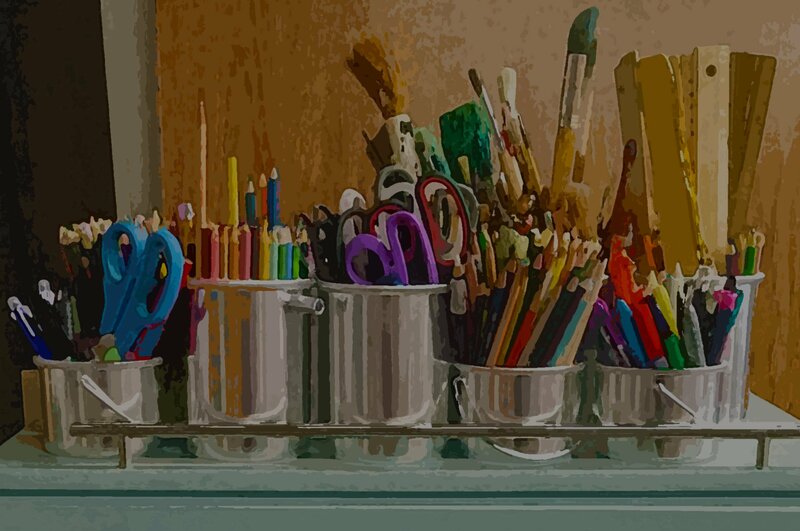 Skills and strategies, methods of teaching, and small group instruction can make our classes supportive, inclusive places where kids know that there will be guidance along with the expectations. Our students who struggle with the text can be given strategies for dealing with that hard work more successfully on their own, along with some structures that can help them to the practice those strategies. Our kids who are flying through the book with ease can be taught ways to push their thinking even further so that they do not have a club med experience while other kids are toiling through every word. We know the methods that can help us to wrap our arms around the kids in our classes, to give them the support they need to flourish. We know the answers. They are difficult, but doable. It is possible to teach novels in ways that increase independence and engagement. But first we must look critically at our current practices to be sure we are not falling into the traps that this method of teaching can set for us. When we do that, with an open and skeptical mind, we can find the right balance for the students in front of us, and keep our teaching active, relevant, and responsive.